No one in Flint or Mid-Michigan, or anywhere else, wants to experience the fear and anxiety of being arrested. It really doesn’t matter how serious the charges are, being handcuffed and hauled off in a police cruiser can be one of the worst experiences anyone will ever go through. When you are arrested and/or charged with a crime, many times law enforcement officers will try to lead you to believe that you have no hope and that you will be paying a serious price. 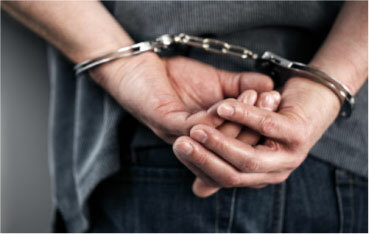 However, being arrested, or even charged, for a crime is not the same as being convicted of a crime. You are innocent until proven guilty, which means you have the right to a fair and balanced trial. That’s why contacting the Flint Michigan attorneys at Nickola Law for help is a very wise decision. Don’t get caught in the prosecutions snare; instead speak with a Flint Michigan lawyer first. When you are charged with a crime, officers and prosecutors will immediately start building a case against you. They often employ every tactic imaginable to get you to damage yourself and strengthen their case against you. That’s another reason it’s important to seek the help of an attorney before you answer any questions or make any important decisions. Asking to meet with an attorney as soon as possible is always the right way to go in a criminal case. We can help protect you from inappropriate or even illegal questioning from law enforcement officers and guide you through the difficult process from the beginning. Being convicted of a crime can be damaging in so many ways. Not only are you facing jail time, but you also stand to lose many other privileges, depending on the crime, including driving privileges and voting rights. Some crimes could cause you to lose your job and your family, as well as the freedom to choose where you want to live. By hiring the team at Nickola Law you will have a knowledgeable attorney working every angle to ensure that the entire story is uncovered. Don’t leave your freedom to chance. Make sure you hire the right criminal defense lawyer to defend your rights and help you get the best legal outcome possible for your situation. It doesn’t matter the charge or how serious the consequences, being convicted of a crime is never good. Don’t let an aggressive prosecutor deny you of your legal rights. You are innocent until proven guilty. If you are facing any kind of criminal charge, then contact the proven, experienced criminal defense lawyers at Nickola Law for help. Call us at 810-767-5420, or toll free at 866-642-5652. Click here to contact us online or by email. Revoked driving privileges due to multiple DUIs prevented client from driving for 8 years. Full license restoration & driving privileges restored. Felonies and other charges preventing employment. Expungement of record so client could move on with life.